The story of my life -- period today, beach tomorrow. Kasi sino lang ba ang makakapagsabi na nakapagsurf siya na may suot na overnight napkin diba?? 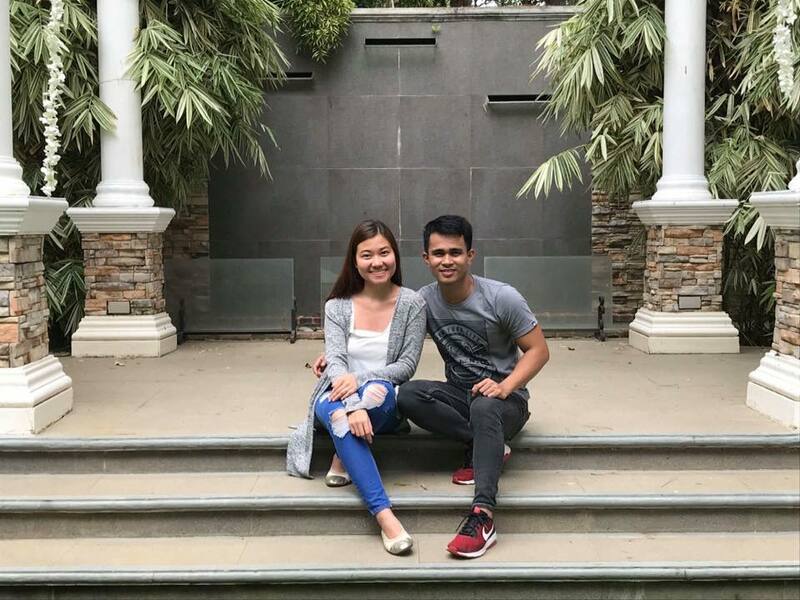 Ako lang! Lol! 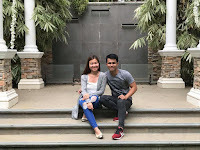 So when it comes to this monthly visitor (with a good sense of humor, I must say), my mantra would always be, go lang nang go! I am the type of person who wouldn't want to miss out on anything so I don't let my period stop me. I've even had this experience when I had to bring a plastic bag and a napkin with me during our island hopping in Caramoan... and with the help of friends covering me with a sarong making sure my integrity was intact while I dutifully change my napkin inside the boat (yes! ), I was still able to enjoy the trip despite the "situation".. 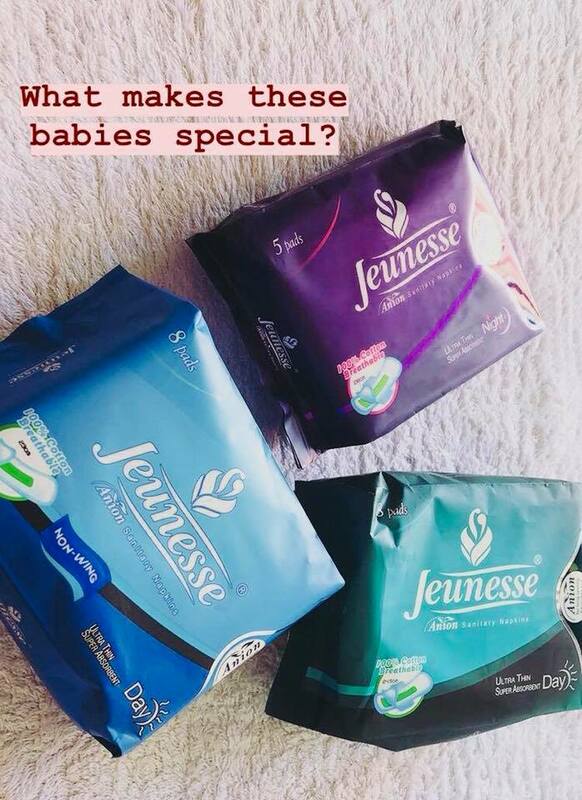 I've heard of Jeunesse and know that their napkins have these special anions that help with the cramps and the dysmenorrhea. 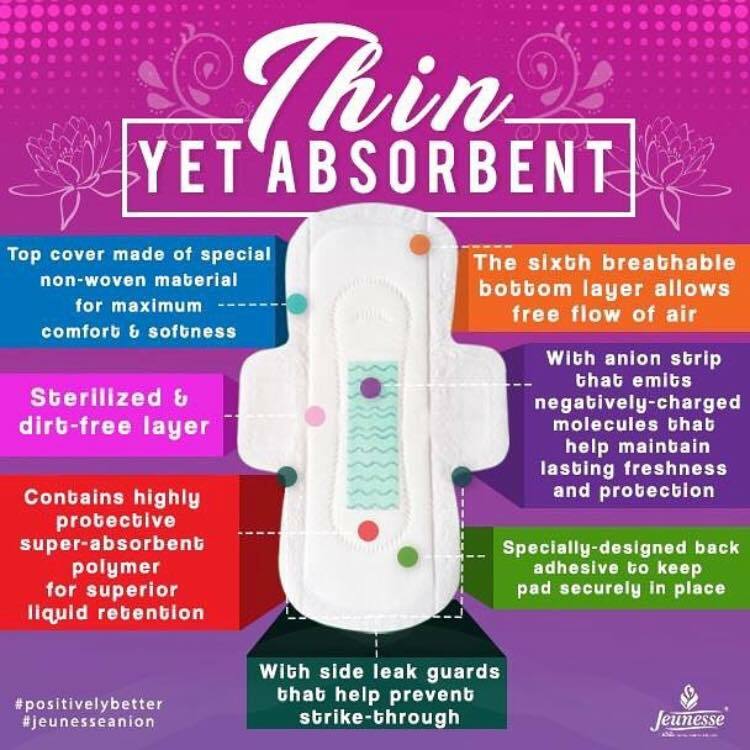 Since I don't really experience dysmenorrhea, I didn't bother to try it because I heard that they are also quite expensive. When I tried it, I must say that I love how thin their napkins are... You know how some napkins bunch up and move around (which is not supposed to happen) and sometimes even unravels (hello cotton and padding!) when you wear it the entire day? 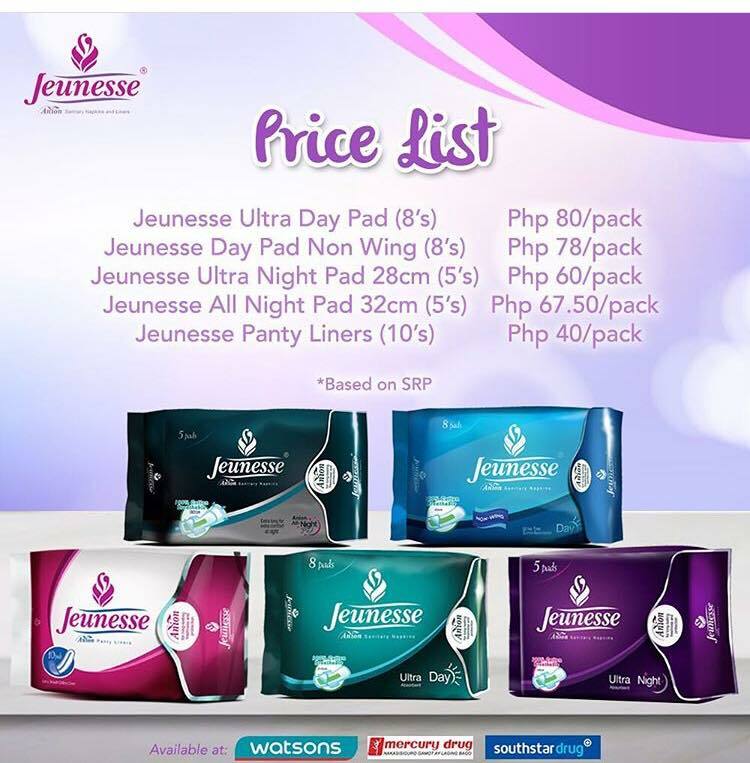 That's the thing with Jeunesse -- I love how it sits perfectly still with its thin and compact material so my pad was secured the whole day. I also love their pantyliners which is great for those days just before or after your period to keep you feeling fresh and clean. What makes Jeunesse really special though is the anion strip that emits negatively-charged molecules that lessens odor and bacteria. 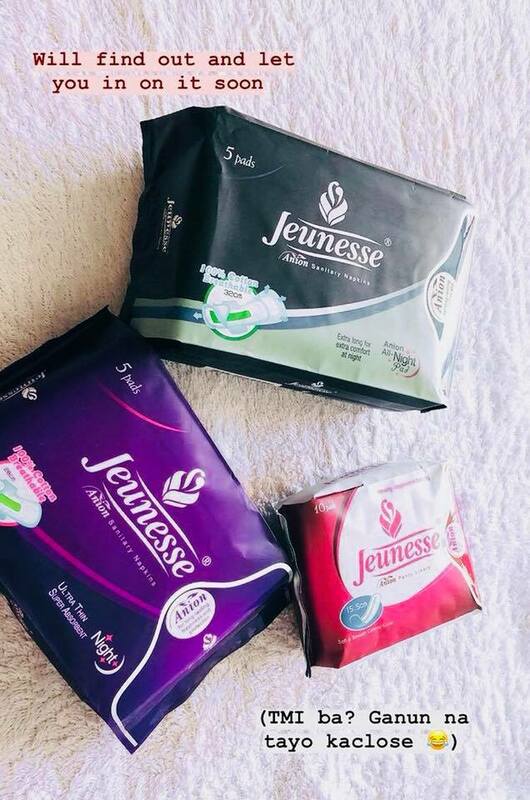 "I've been using Jeunesse Anion pads for years now and I can attest that it reduced my discomfort/dysmenorrhea and also did eliminate unwanted odor. :) Definitely a Jeunesse believer!"